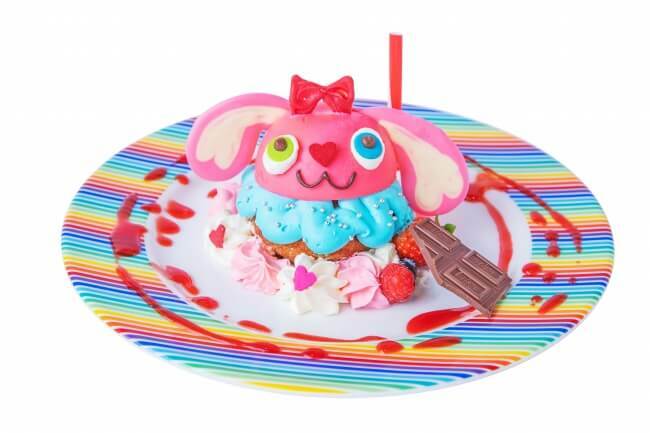 The KAWAII MONSTER CAFE in Harajuku has announced Valentine’s themed fair titled Colorful Animal Valentine and it begins on January 28. 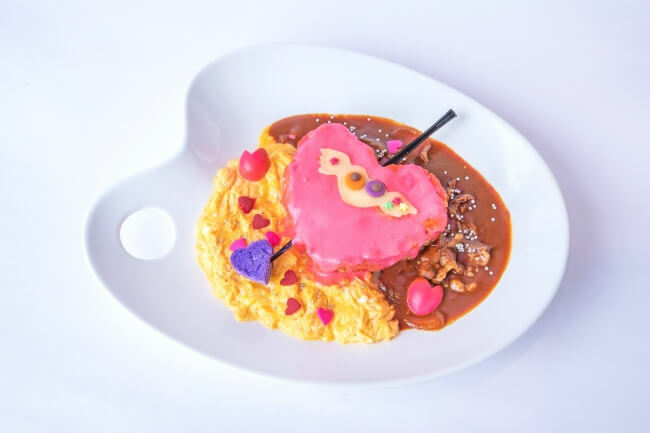 In Japan is common for friends to give each other chocolate during Valentine’s but “friend sweets” is the latest Valentine’s Day trend that has people enjoying desserts together instead of trading chocolate. 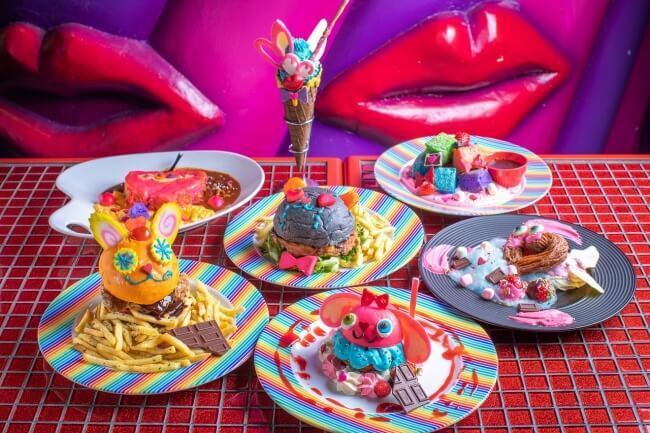 The KAWAII MONSTER CAFE is jumping on this bandwagon with a colourful line-up of 7 animal themed desserts. Prepare to nibble into a cute and colourful rabbit cake made with a doughnut and topped with a fluffy cassata. 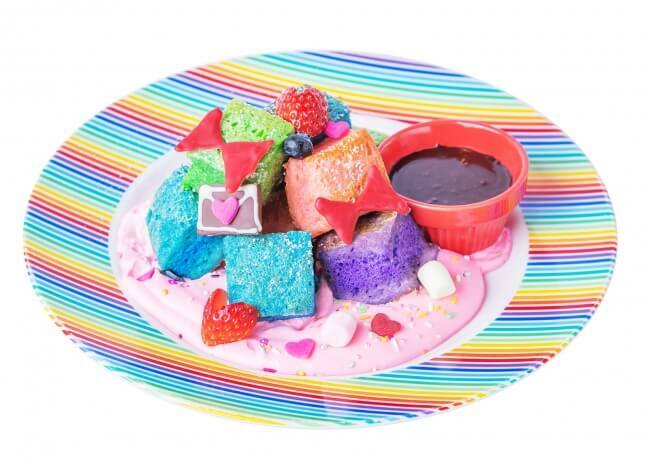 Enjoy sweet and juicy rainbow French toast decorated with chocolate ribbons and envelope seals served with fruit, fresh cream and chocolate sauce. You read that right. 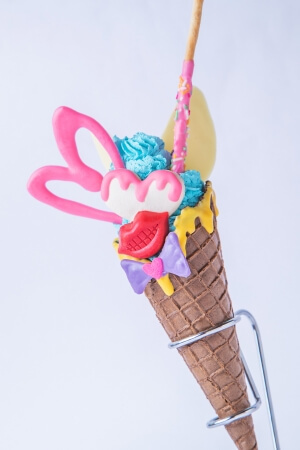 Indulge in a pastel blue ice cream topped with pink hearts, chocolate lips, white chocolate feather, and a strawberry Pocky. This churro has become an angel and swooped down onto your plate. Shaped like a heart, the cocoa churro has white chocolate wings and plenty of other eye-catching treats surrounding it. 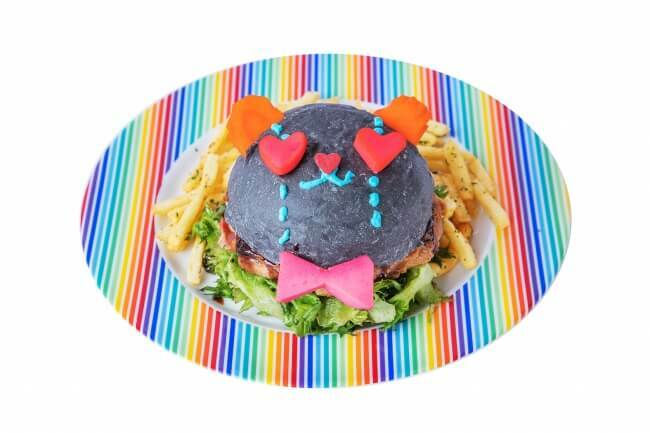 If you don’t fancy anything sweet and want a a real meal, then try the cute black teddy bear burger filled with hot salsa sauce and rich cheese sauce. If you can’t pick between a meal or a dessert then try this Mexican chocolate chicken burger. 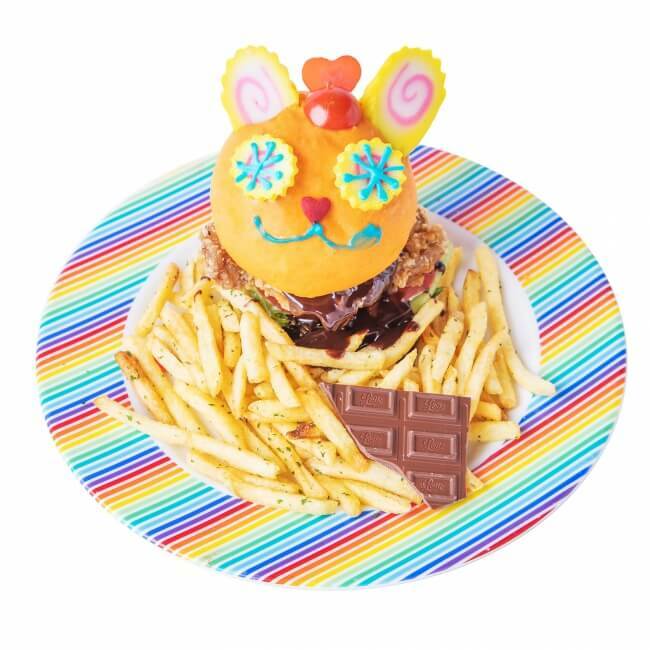 Made in the image of a crazy rabbit, this rich burger contains crispy chicken layered with a dark chocolate sauce. Last up on the menu is this chicken rice dish enjoyed with hashed beef and scrambled egg. It is finished with a loving pierced heart. 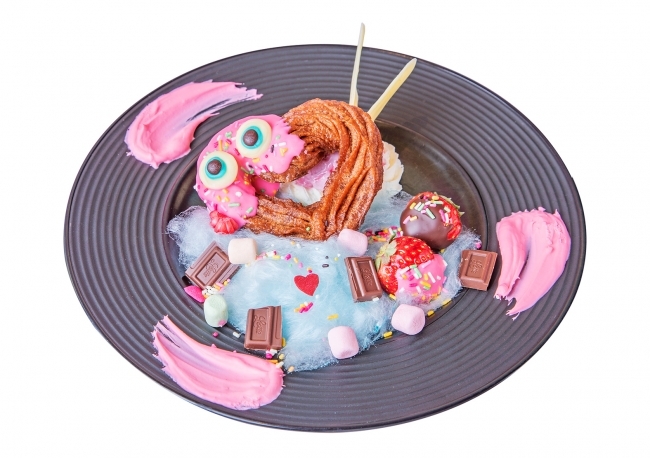 Enjoy some delicious desserts or a colourful meal with your friends this Valentine’s season at the KAWAII MONSTER CAFE. *During busy times, a max stay time of 2 hours may be implemented.